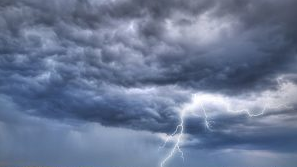 from each of them was struck dead even as many others were injured by thunderstorms that occurred during a downpour in the various parts of the state. One of the three victims was a seven-month-old pregnant woman from Nkporume Ndieze community, Izzi Local Government Area of the state, Mrs Beatrice Nwobiya. Other victims were a 20-year-old boy in Ofiaokum, the neighbouring village in the same council area, Sunday Oke; and a woman in Okposhi Eshi community, Ngbo in Ohukwu council area whose name could not be ascertained as at the time of filing this report. Sunday Sun gathered that the accompanying rainstorm blew off roofs of many houses in the affected communities; destroyed vehicles and other valuables worth millions of naira. Sunday Sun also gathered that the property of a lawmaker representing Izzi East Constituency in the state House of Assembly, Hon. Anthony Onyibe Nwegede, were damaged. They include his executive Prado SUV, Lexus SUV Fx 300, and a Carina E model car. It was gathered that one side of his gate collapsed on his car park, destroying the cars and other property worth million of naira. Some residents of the affected communities, while speaking with newsmen, expressed sadness over the tragic deaths of their loved ones. Beatrice’s widower, Mr Nwobiya Godwin, told newsmen that his wife was hale and hearty before he left for farm in the morning and returned home in the evening.